With numerous community leaders and the law enforcement community in attendance, Orange County’s Parks and Recreation Division held the grand opening ceremony of the Deputy Brandon Coates Community Park on July 30. 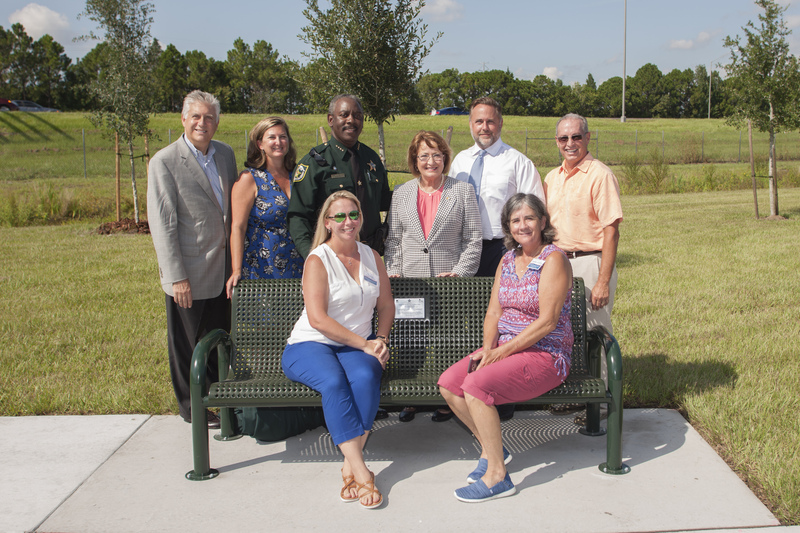 The park was officially dedicated in memory of Orange County Sheriff’s Deputy First Class Brandon Lee Coates, who was killed in the line of duty while making a traffic stop in December 2010. Orange County Mayor Teresa Jacobs was joined by Orange County District 1 Commissioner Scott Boyd, Orange County District 4 Commissioner Jennifer Thompson, Orange County Sheriff Jerry L. Demings Deputy Coates’ mother Debbie Griffin, his widow Virginia Coates Ricks, Orlando Police Department Deputy Chief Orlando Rolon and many deputies who worked with Coates. Coates served two tours in Iraq with the U.S. Marine Corps prior to joining the Orange County Sheriff’s Department. The mile-wide property, which is located south of the Deerfield community at 3815 Substation Road, is situated east of John Young Parkway and west of Orange Blossom Trail in Orange County District 1 along the border of District 4. Commissioner Boyd approached the Orange County Parks’ Advisory Board and garnered the support of Mayor Jacobs and the Board of County Commissioners to name the park after Coates. “Not only is the park a lasting tribute to an Orange County hero, but it’s a beautiful space that residents and guests will get to enjoy for generations to come,” said Commissioner Boyd. Amenities at the park include two multi-purpose fields, a playground, walking path, concrete skate spot, picnic pavilion, restrooms and paved parking. The art at the Deputy Brandon Coates Community Park, created by Tallahassee sculptor Ira Hill, includes a 30-foot skateboard shade structure and three-dimensional graffiti benches. To view photos from the grand opening ceremony, visit Mayor Jacobs’ Flickr album.